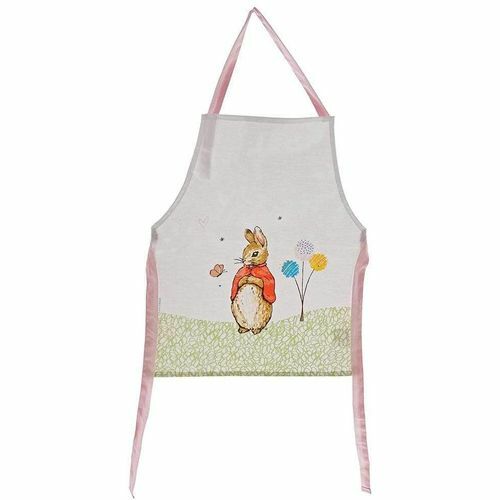 This delightful Flopsy childrens apron is perfect for little ones who love baking, painting or generally getting into mischief and making a mess. They have a gloss laminated coating so are easy to wipe down. The front features a large scale Flopsy, taken directly from the original illustrations, from the Beatrix Potter stories. Product size and age grade: 32cm x 48cm.